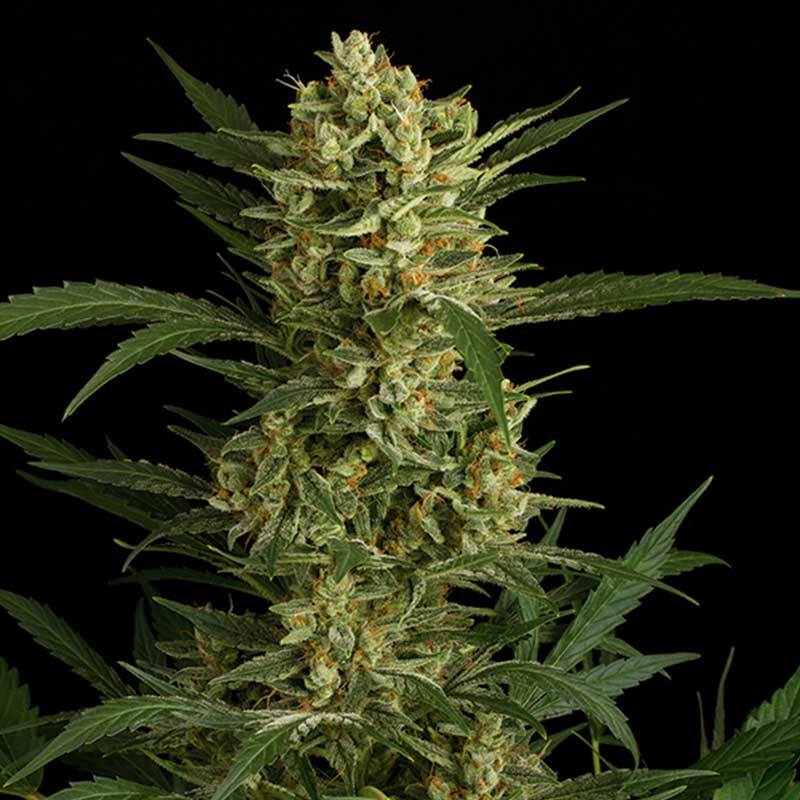 Original Amnesia Autoflowering cannabis seeds by Dinafem Seeds belong to a feminized autoflowering Sativa-dominant cannabis strain that results from the cross between an Original Amnesia and a Haze Autoflowering. This autoflowering cannabis seed allows the lovers of Original Amnesia to obtain high-quality, fast, discreet crops even in harsh climatic conditions. Original Amnesia Autoflowering is the automatic version of our Original Amnesia. It grows into a stunning, fast-flowering, easy-to-grow, medium-sized, vigorous marijuana plant that produces large, dense buds covered in resin. We have managed to obtain an auto version that boasts the distinctive traits of Original Amnesia. Original Amnesia Autoflowering is a marijuana plant that grows well indoors as well as outdoors either on a balcony, a terrace or a garden. It is advisable to add 1/3 of coco fibre to the soil in order to accelerate the uptake of nutrients and to water frequently but moderately. Original Amnesia Autoflowering is a cannabis strain with an intense flavour and aroma that deliver notes of lemon, cedar, Haze and spices. The long-lasting effect is powerful and more cerebral than physical. It is the perfect marijuana plant to enjoy relaxing moments.